Pocket pets are great additions to your family. 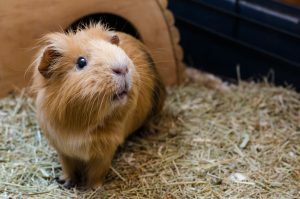 Small rodents and mammals are usually considered pocket pets and can include hamsters, gerbils, rabbits, ferrets, and guinea pigs. These pets are loving and loyal and have relatively simple care instructions. Just like a cat or a dog, however, they still need regular veterinary attention. Below, we will take a look at what Dr. Luis D. Cruz can do for your pocket pet. It is important to understand that just because pocket pets are tiny they still need regular veterinary care. The experts at American Veterinary Hospital are here to help. Our professional and caring team is trained in examining pocket pets and is always accepting new patients. To learn more about the services, contact us today!